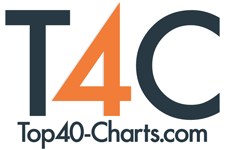 New York, NY (Top40 Charts) The LA Based outfit, A New Revenge, featuring an all star line up will release their debut album, Enemies & Lovers on March 29th, 2019 via Golden Robot Records. Supergroup is a term that has been diluted over time. Throwing a bunch of people from other bands into a new project doesn't automatically make them Super, but their bio's will tell you otherwise. It's time to seek revenge and reclaim that word! A New Revenge is the very definition of a supergroup. One who's members have more than earned their legendary statuses but also remain humble enough to let the music do the talking and not actually rely on the term. So who is out for A New Revenge? Featuring one of the finest voices in metal of all time, Tim 'Ripper' Owens (who's voice is all over albums from Judas Priest, Iced Earth and Yngwie Malmsteen), one of the most versatile and name checked guitarists in rock Keri Kelli (Slash's Snake Pit, Alice Cooper, Vince Neil Band and a hundred more) the most iconic bass player in heavy metal history, Rudy Sarzo (who's work with Ozzy Osbourne, Dio, Whitesnake and many more has earned him an almost revered status in heavy music) and long time Scorpions drummer James Kottak (also from Montrose, Warrant, Kingdom Come & more). Keri Kelli, the bands guitarist says of A New Revenge coming together; "Beginning the songwriting process we said 'Let's get together and come up with three or four original songs.' Without any pressure, just creating as we went. Finally we got to the eleven songs we were all happy with. 'Here's To Us' was the first song we wrote for this record. It came very fast and was pretty simple to write. Its basically an ode to hard rock fans the planet over"
To further, Kelli comments on the album Enemies & Lovers "It's been a long time coming but it's completely finished mixed, mastered and all ready to go. We all really, really excited to finally unleash this on the hard rock community." A New Revenge will hit the road across the U.S. in support "Enemies & Lovers" throughout 2019 and is looking at locking in a European tour later in the year. The foursome is an explosive combination with every band member's skillset and battle tested charisma breaking through the bleak wasteland of current day modern heavy metal.